Exercise safely this summer with these helpful hints! It’s almost Christmas and with the warmer weather approaching, the motivation to exercise for summer is at its peak. But with all the good intentions comes an increased risk for injury if a gradual approach is not taken. Every summer hundreds of people seek our advice about sports-related injuries from exercise. Generally these people have pushed themselves too hard, too soon. Months of winter hibernation and a desire to see quick results leads to limits being pushed and injuries being sustained. 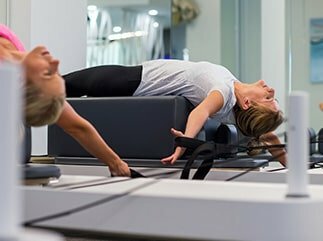 By starting your summer exercise regime slowly and gradually, you will still see the desired results without the pain and inconvenience of an injury (not to mention you may also stick to it in the New Year!). Remember to only do what you are capable of! * If you have any health concerns or pre-existing medical conditions, see your doctor for a check up before embarking on a new fitness program. 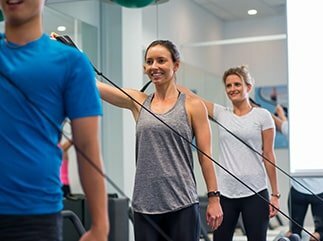 Your physiotherapist can also give you useful advice on how to safely manage any pre-existing conditions with your exercise program. * If playing a new sport, make sure you do a pre-season or some sort of training before competition. * Before exercising or playing sport, practise and use the correct skills and techniques. * Cross-train with other sports and exercises to reduce the risk of overtraining. * Choose an activity that you enjoy. This way you are more likely to stick to it. * Listen to your body – if it hurts, don’t do it. If you are unsure as to why it is hurting, seek advice from a sports medicine professional. *Always warm up, stretch and cool down. *Drink plenty of water before, during and after exercise. Following these tips will help you to reduce your risk of injury and help keep you exercising so you look and feel great for summer.